There's always that 'when' piece on one's wishlist, right? For example, 'when I get a job and proper salary', 'when I win the lottery' or 'when I find a charming and rich man' (trying to make that first one happen here..) - that piece you can't afford at the moment but perhaps, in the future .. For me, it's all about bags, also on my 'when' list. 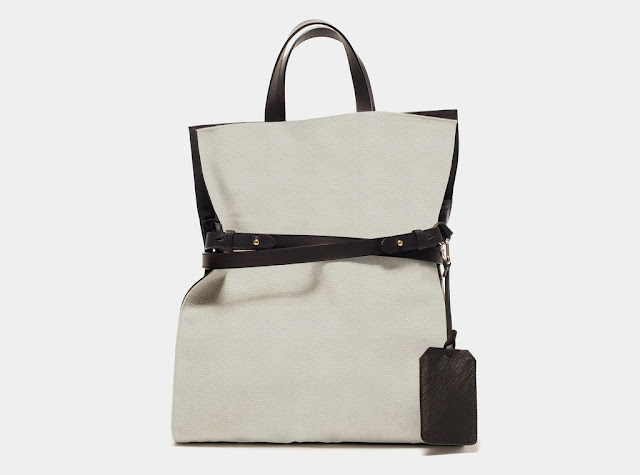 The ultimate dream piece is the stunning one below, the Tote Allmighty from Little Liffner (currently sold out). The size, shape and colors are so right up my alley that I'm starting to get seriously obsessed, Auch. My dream piece would be a Chanel bag! This bag is great.. it has both a pureness and a bohemian feel to it. I really love it. Love your blog too btw! This is right up my alley too. Soft texture, chic and simplistic.